Ha! Toldja I’d finish before Comic-Con! Take that, hypothetical naysayer! Oh wait, I forgot that no one probably reads the comic anymore because I’m such a damn slacker. Joke’s on me I guess! Off to Comic-Con tomorrow night! Hope I run into LittleKuriboh! How does one go about tracking down some random Internet guy when you hardly know what he looks like and he doesn’t have a booth or a panel? Shout out “ATTENTION DUELISTS!” constantly until he runs up and begs me to stop? I’m genuinely curious! 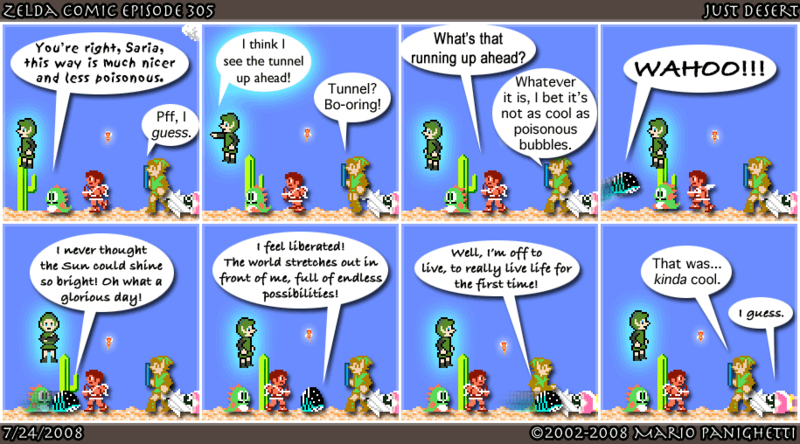 This entry was posted on Wednesday, July 23rd, 2008 at 11:58 pm and is filed under Comics. You can follow any responses to this entry through the RSS 2.0 feed. You can leave a response, or trackback from your own site. I read the the comic! Hmmph!